Perhaps he knows exactly what he will do when the old, damaged Hudson River train tunnels fail — as experts fear and expect. When train traffic along Amtrak’s Northeast Corridor, the busiest passenger rail line in the country, grinds to a halt, and vehicle traffic backs up for miles into and out of Manhattan. When people can’t move and businesses can’t transport goods up and down the East Coast. When an area responsible for 20 percent of the nation’s economic activity is paralyzed. Or, perhaps there is no plan. Perhaps there’s only Trump’s troubling budget proposal to slash existing funds and add zero dollars to the Gateway project, the urgent effort to replace the tunnels, build a new Portal Bridge in New Jersey, and increase capacity at Penn Station. Trump also was wrong to stymie his transportation secretary from allowing the part of Gateway that’s already funded to move forward. All this despite a previous deal for the federal government, and New York and New Jersey, to split the estimated $30 billion cost. To spur the healthy economy he rallies around, Trump should support and fund Gateway. Without that, Trump must release his own backup plan. 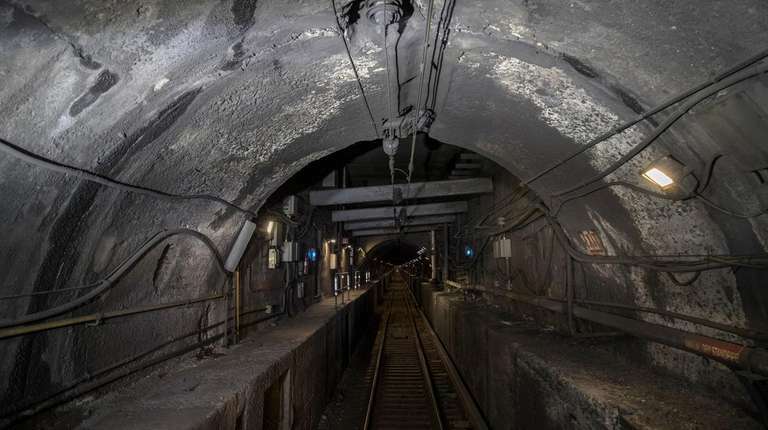 And if there isn’t one, then Reps. Peter King and Josh Gotteheimer are right to introduce legislation that would force federal officials to develop what they call a “doomsday” plan for the tunnels. Meanwhile, Schumer and others are right to look for alternative ways to get Gateway done. And local representatives must fight to restore and expand federal funding. The two states can’t and shouldn’t do this on their own. Trump’s latest budget proposal is a gateway to disaster.